Answer the call of the wild when you stay at Triangle C Cabins. With crystal clear lakes, rugged mountains, and rushing rivers, you can’t help but explore the area. 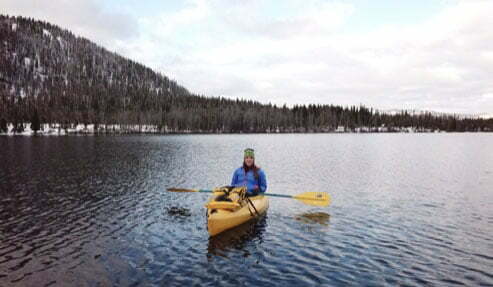 Adventure out on your own or opt for guided excursions with a company like Rocky Mountain River Tours. They’re one of our favorite guides to experience the Salmon River with! What else is there to do in the Sawtooth Mountains? Our complimentary Adventure Guide is here to help. We know that planning a trip can be challenging, so we created a handpicked list of local recommendations to save you from hours of research. Whether you are looking for companies like Rocky Mountain River Tours or our favorite hot springs in the area, you can find it in our guide. It has helped countless travelers plan their trips, so get your copy today! Rocky Mountain River Tours started out in the 1970’s by Dave and Sheila Mills before becoming a key part of Sawtooth Adventure Company in 2012. Now, it is one of the best companies available to go explore the Salmon River with. 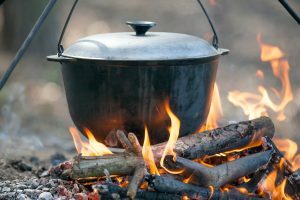 Excellent tours paired with award-winning Dutch Oven cuisine make their excursions one of a kind. Rocky Mountain River Tours offer excursions on both the Middle Fork of the Salmon and the Salmon River of No Return. When deciding on your trip, you can pick between 4, 5, and 6 day expeditions. Each is categorized by students, young adults, or adults under specific dates. If you don’t see particular dates that you were thinking, you can always request a private charter. Camp out in the wilderness and enjoy camaraderie around the fire as you wait for the delicious meals to cook in the Dutch Oven. Rocky Mountain River Tours offers two types of fly fishing adventures. Choose between Middle Fork Raft & Fly Fish or just Fly Fishing. During the rafting trip, you will get to experience both whitewater rafting and fly fishing. Those partial to fishing will get to cast a line all day while others can enjoy hot springs, hikes, and more. If you would rather strictly fly fish, you can go on one of the best fishing excursions the area offers. Starting mid-August, you can explore the Middle Fork and its tributaries as you fish all day every day. Who knew that camp food could win awards? The cuisine offered by Rocky Mountain River Tours has! Dutch ovens are the key here. Popular dishes are the sticky buns, pecan-crusted pork, and cake for dessert. If you have a food allergy or specific restrictions, they’re more than happy to accommodate you. 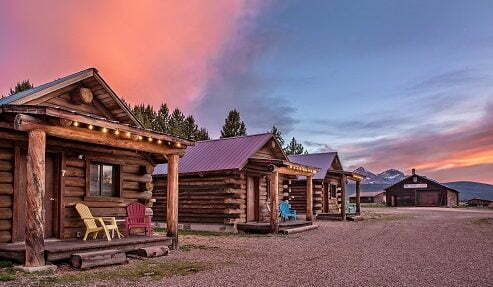 Whether you are looking for a place to stay before or after your excursion with Rocky Mountain River Tours, you’ll love staying at Triangle C Cabins. Our simple cabins are set back in a peaceful part of Stanley, Idaho, just moments away from any adventures you would want to have. There’s nothing like coming back to a warm, cozy cabin after a multi-day excursion! Book your getaway today.